While still huge, with more than 2,500 Sears and Kmart stores and nearly $40 billion in annual sales, the company is decades past its prime, trapped in too many faded downtowns and first-generation malls, shrinking rather than growing. Sears consistently receives among the lowest American Customer Satisfaction Index scores among retailers, and consumers have collectively forced the company to retrench. Revenue in 2012 was 13.5% lower than four years earlier, the store count reduced by a third. The first quarter’s performance was a poor one even within this negative trend, as Sears lost $247 million, or $2.63 per share, on an 8.8% drop in revenue from a year earlier. While unfavorable weather was partly to blame for soft sales of spring seasonal merchandise, it fails to account for the overall weakness – especially in the beleaguered Kmart division. As Brian Sozzi, CEO of Belus Capital Advisors, discussed on Yahoo! Finance's Breakout in April, same-store sales at Sears’ domestic stores have fallen for seven straight years. Wall Street has emphatically soured on Sears as an investment under Chairman and CEO Edward Lampert, whose investment firm controls the company with a 55% stake, and who has largely treated it as a recovery operation – investing little in the stores, closing many, selling divisions to raise cash. Shares – beloved for a time after Lampert bought Kmart out of bankruptcy and merged it with Sears in 2006 – have declined by 43% in the past five years to the current price of $47, while the Standard & Poor’s 500 stock index is up 20% and rival Wal-Mart Stores Inc. (WMT) stock has climbed nearly 60%. About 30% of the shares Lampert doesn’t own have been sold short by investors expecting the stock to decline so they might repurchase them at lower prices and profit from the difference – quite a heavy concentration of negative bets. For a household-name company with a $5 billion market value, Sears is largely shunned by Wall Street firms. Only four analysts cover the stock, none of them recommending that investors buy it, and two advising clients to sell. Of course, it is retail analysts who would follow Sears, and retail analysts dislike the merchandising tactics of Lampert – who, in truth, treats the company less as a pure retailer than a bundle of assets that can one day be turned to cash, attached to a core business whose decline must be managed rather than reversed. There is also a sense that Lampert – who has steadily increased his ownership stake by buying more shares – isn’t urgently focused on getting the stock to trade higher, as it would make any future purchases more expensive. In fact, it’s often the case on Wall Street that, when investors seem uniformly arrayed against a company and its stock, there’s a good chance the consensus is underestimating the potential for positive surprises. Contrarian logic says it can be worth shopping among hated stocks, provided the company isn’t at risk of financial failure. Lampert takes a realistic, unsentimental view of the company. While criticized by retail experts for refusing to invest in store revamps and sprucing up as a matter of routine, he recognizes that, with many subpar locations and stiff competition, Sears might not get much payoff from such spending. Just consider the false starts involved with JC Penney Co.’s (JCP) risky bid to redesign its stores in a long-shot effort to win younger, hipper customers. Lampert, whose hedge-fund investing made him a billionaire and whose wealth also got him kidnapped for ransom a decade ago, has elected to focus on the handful of valuable hard-good brands Sears owns: Kenmore appliances, Craftsman tools and Die Hard batteries, along with its Lands' End online clothing unit. He has spun of Orchard Supply Hardware Stores (OSH) and franchisee-run Sears Hometown & Outlet Stores Inc. (SHOS) in the past two years, along with portions of Sears Canada Inc., which owns valuable real estate. An investor who kept the stock of these spinoffs would have an additional $13 per share in value atop the Sears stock price, figures Cliff Orr of investment firm Privet Fund Management, who believes the sum of the remaining parts are worth well more than Sears' trades for now. The key brands noted above have been walled off as a separate legal unit to facilitate sales through the spun-off companies and perhaps other retailers. Lands' End – which has been mentioned as a business Lampert might sell – is for now being used to drive online customer loyalty. 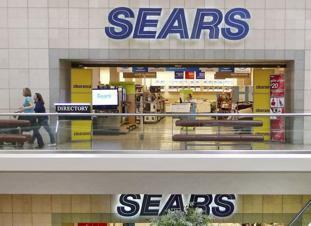 None of this will return Sears – which was booted from the Dow Jones Industrial Average in 1999 – to anything approaching its formal dominance and renown. Yet the strategy should help it survive in diminished form while generating some value for investors. It could be worse: When Sears entered the Dow in 1924, it was there alongside the likes of Studebaker, Baldwin Locomotive and American Smelting. None of those once-powerful American businesses is even around anymore to be hated by customers and investors.